There were only 80 1999 Lamborghini Diablo GT's made, and as a special version of the Lamborghini Diablo, it was determined eligible for Show or Display exemption. Less than 500 made, and determined to be technologically significant enough to be exempt from NHTSA requirements. 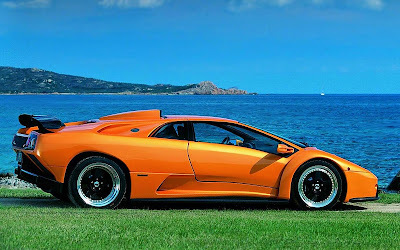 "The Diablo SE30 and its optional Jota upgrade kit had been quite sporty and race-oriented, but Lamborghini took this concept a step further in 1999 with its introduction of the very limited production Diablo GT, of which only 80 examples were produced for sale. The Diablo GT was a completely race-oriented model differing in nearly every aspect from the more mainstream Diablos. The cars were fitted with radically altered aggressive bodywork, a stripped-down interior, and an enlarged engine. With the exclusivity came a large price tag of nearly $300,000 and availability limited to Europe. Some GT models were imported into the US and a few may have been converted to road-legal US specification."